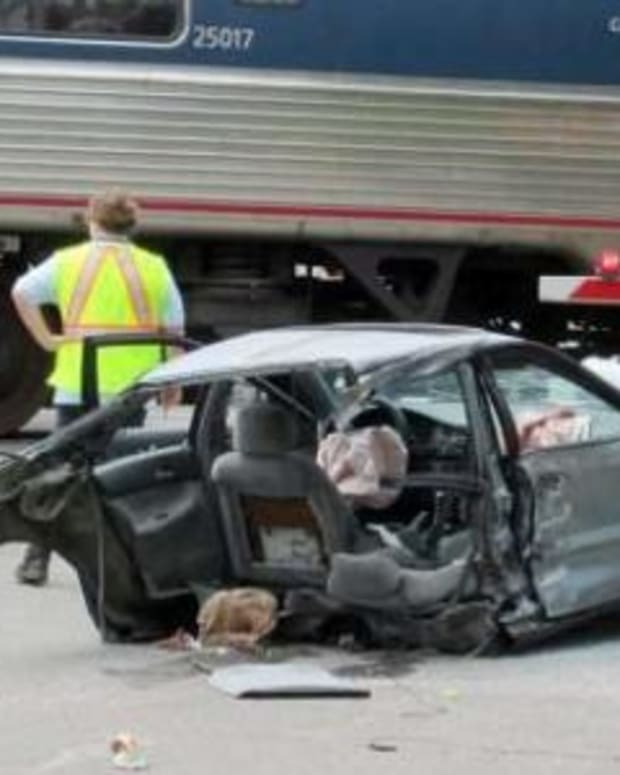 A pregnant woman and two others survived after their car collided with an oncoming train and was torn in half in Jacksonville, Florida. 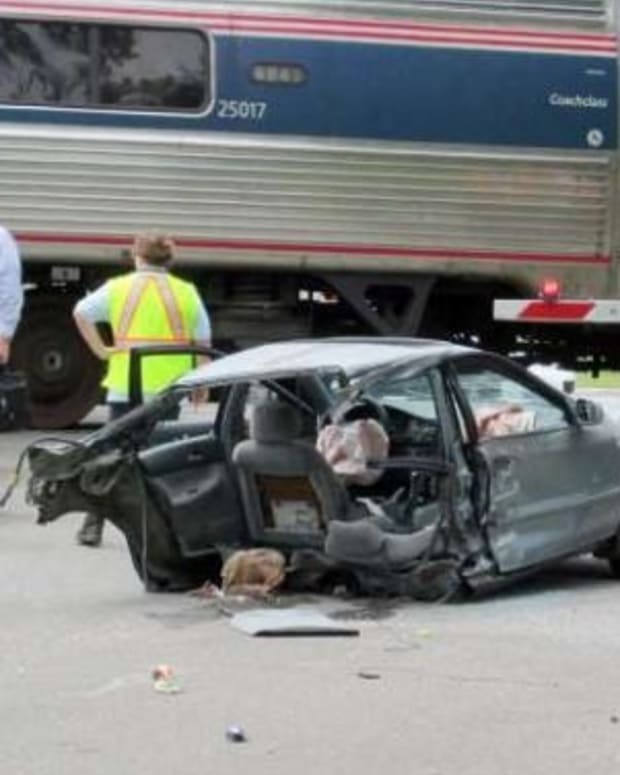 Stacey Peterson, 21, was driving across train tracks on June 2 when an Amtrak train came through the crossing — hitting his car and ripping off the back seat and trunk, according to WJXT. 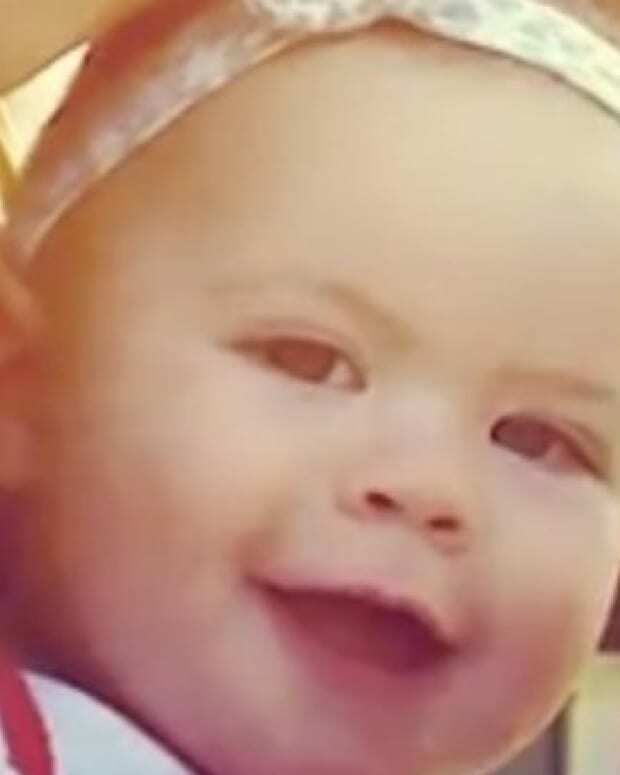 Alexandria Mincey, 26, who was six weeks pregnant at the time, was in the back seat during the collision and was thrown from the car. Mincey’s boyfriend and Peterson’s cousin, 35-year-old Edward Peterson, was also hurt in the crash. All three passengers were taken to a nearby hospital and treated for non life-threatening injuries. 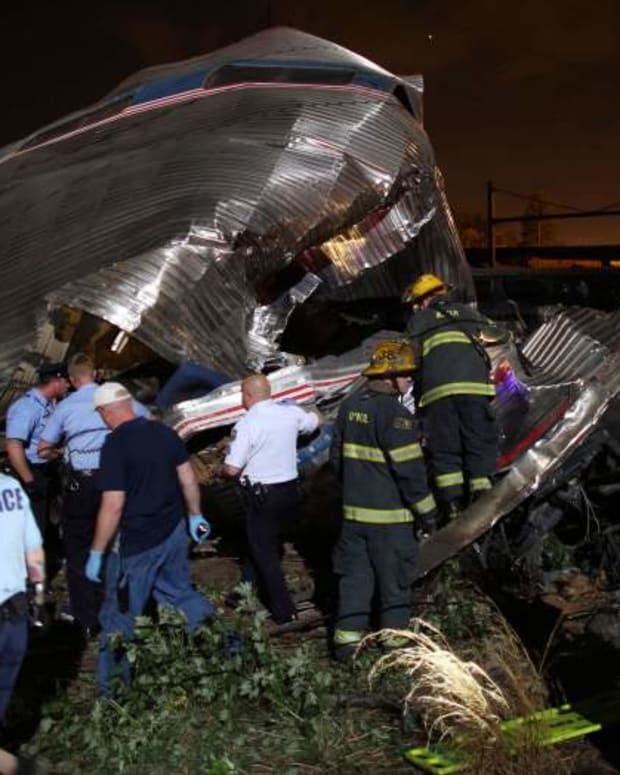 “I heard the Amtrak train whistle," Dr. Kai Cafferly, who witnessed the crash, told WJXT. "I heard it a couple of times, and suddenly I heard a car revving up their engine. It sounded like they were going to race. “My first thought was, &apos;Human beings, oh my God!&apos;"
No one on the train was hurt, and it eventually continued on to its destination. 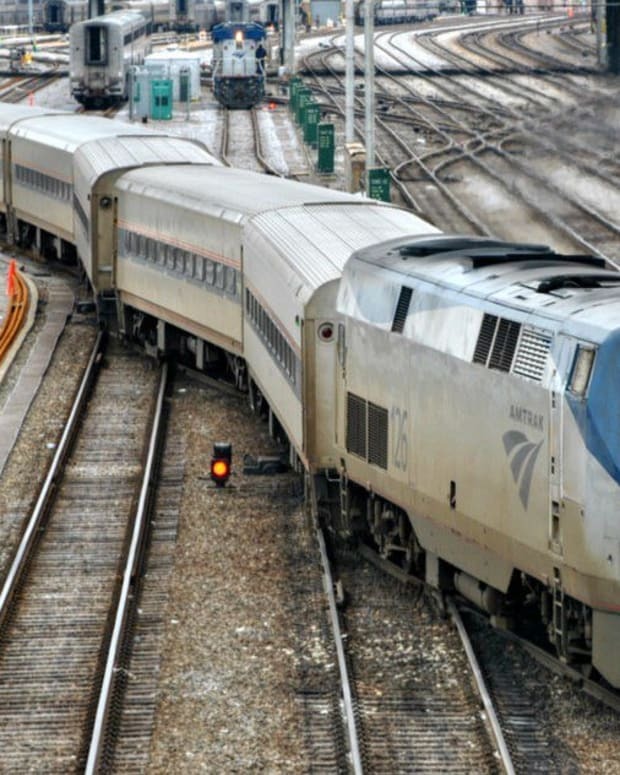 After the crash, Peterson admitted that the railroad arms were down, and they had driven around them, causing the crash, according to the Jacksonville Sheriff&apos;s Office. Sadly, this isn&apos;t the first time a car was torn in half in a collision. 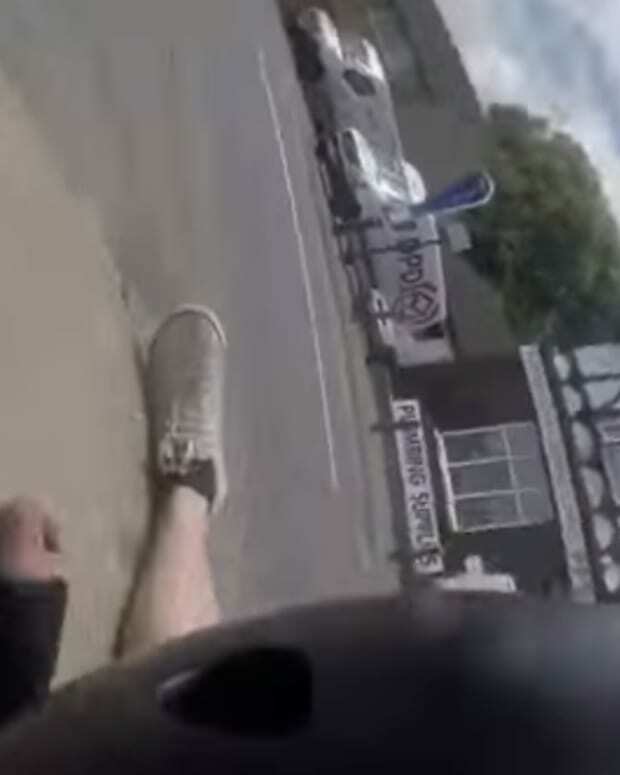 On July 8, a woman&apos;s car was also completely torn in half after an accident in Lincoln County, North Carolina, WBTV reported at the time. 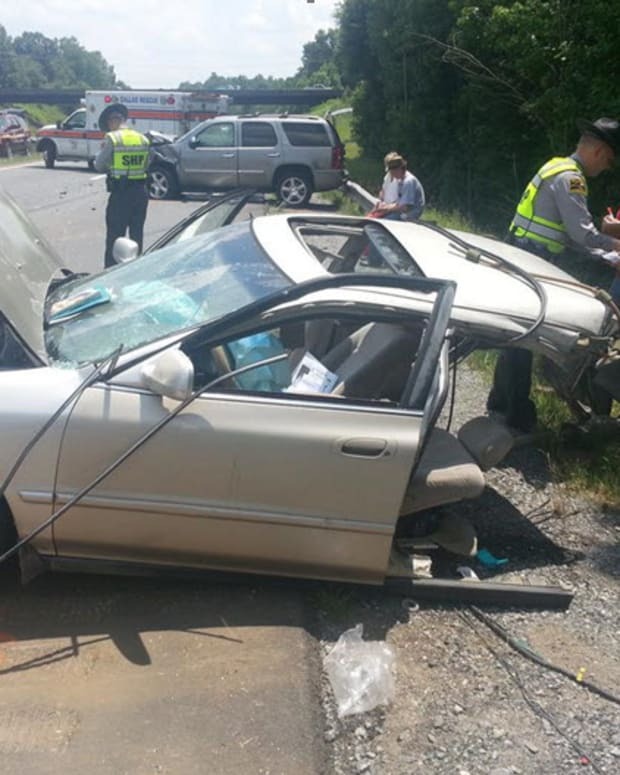 The 20-year-old woman reportedly cross a highway median and was sideswiped by an SUV. While firefighters were cutting the woman out from the car, they discovered a positive pregnancy test lying on the ground. 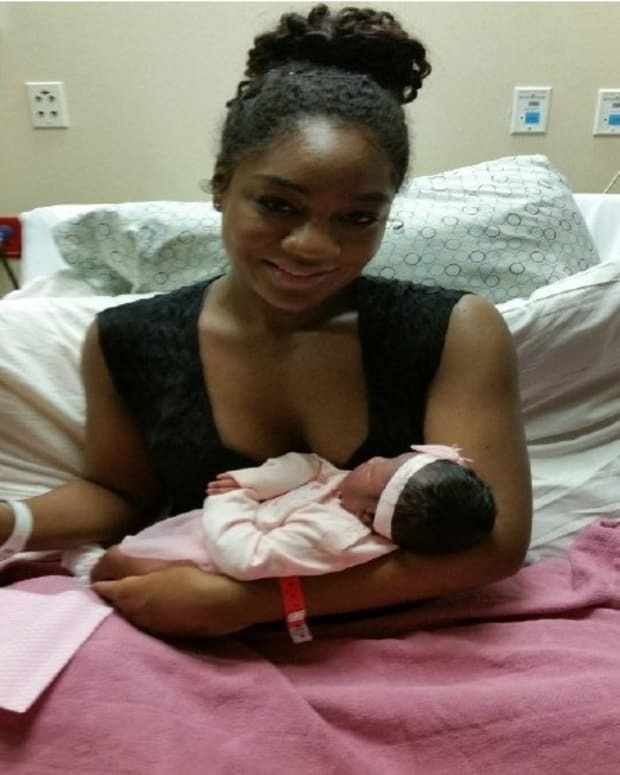 Doctors later confirmed that the woman and her baby would be OK.